I’m not sure that my eyes were really different that night. I don’t remember having seen so many fireworks and heard so many explosions per minute. Moreover, when your stomach is full of Sichuan food… it’s quite difficult to be picky and not to enjoy the moment. 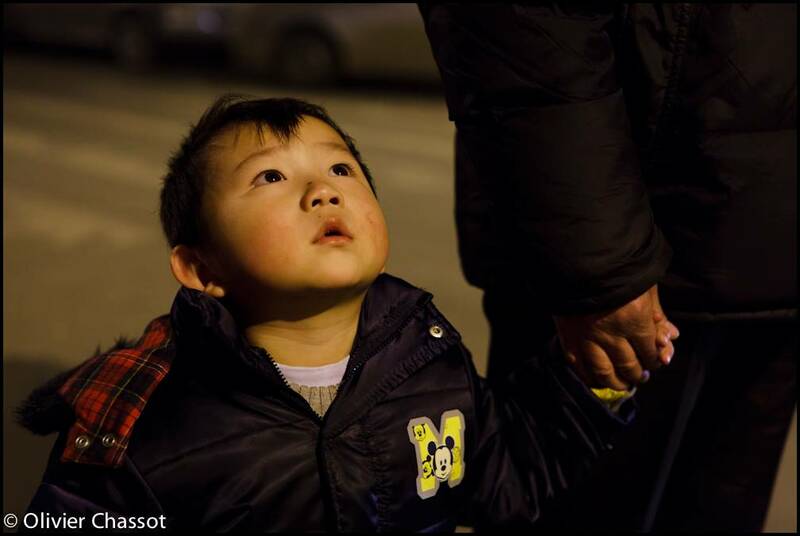 2 February 2011: A chinese boy enjoys fireworks with his father during Chinese New Year’s Eve, in Chengdu, Sichuan province, China. Streets are crowded by people celebrating, transforming the city in a happy war zone, with explosions and detonations all night long. [Click on the picture to enlarge it].